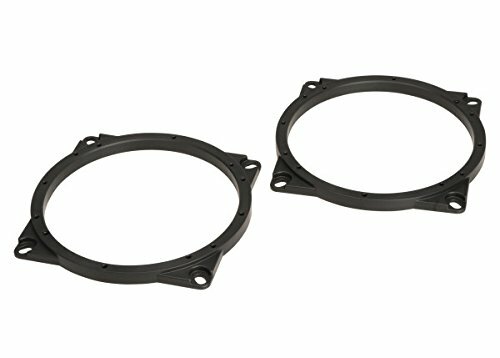 The Scosche SAHY651 speaker adapter pair is designed for replacing your factory front door 6.5” speakers to almost any 6.5” aftermarket speaker on 2014 to 2015 Hyundai Santa Fe vehicles. Made from high grade ABS materials to ensure durability and longevity and engineered for a precise fit for your new speaker install. We are so confident in the quality that we back the speaker adapters up with Scosche’s Lifetime Tech Support and our Limited Lifetime warranty. UPGRADE YOUR SPEAKERS: Adapters enable you to upgrade your factory 6.5" to 6.5" aftermarket speakers into the actual factory front door locations. SPEAKER COMPATIBILITY: Fits most 6.5" aftermarket speakers. VEHICLE COMPATIBILITY: 2014 to 2015 Hyundai Santa Fe vehicles.